Who says bots can’t beat humans? Although Dota 2 has had bots for years now, their skill level has always been below what a human player would encounter in public matchmaking. Even for new players, playing against bots is generally only encouraged for those that have absolutely no MOBA experience. 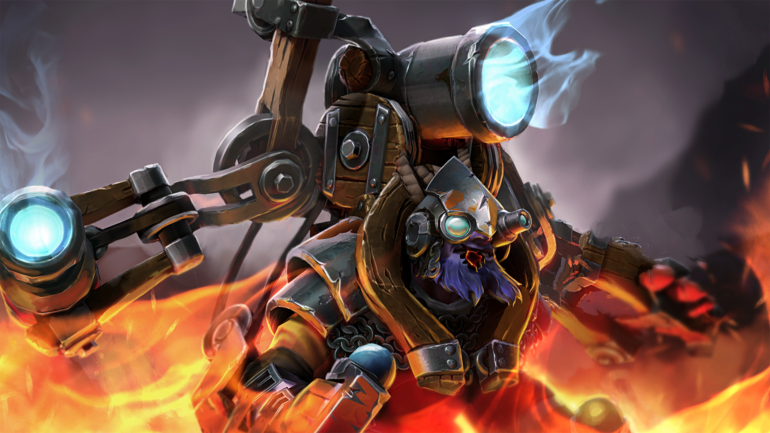 But in between yesterday’s games at The International 7, a special kind of bot showed off its advanced skills against some of the world’s most well-known Dota players. OpenAI, created by a startup company founded by engineer and business magnate Elon Musk, was showcased in KeyArena in a handful of one-on-one exhibition games. The bot went up against famous midlaners Danil “Dendi” Ishutin, Syed “Sumail” Hassan, and Artour “Arteezy” Babaev in three mid-only Shadow Fiend mirror matches. The bot crushed its opponents, displaying a level of mechanical skill that is usually expected from humans. Executing high-level maneuvers, such as pulling creep aggro, denying creeps, and harassing with auto-attacks and Shadowrazes, the bot cruised its way past Dendi, Sumail, and Arteezy. The bot was also taking challenges from random players at the venue, according to Dota 2 journalist Victoria “riningear” Rose. The prize? A free Shadow Fiend arcana. By the end of the day, all 50 arcanas had been snatched up— an impressive feat considering that it was non-professional players who managed to figure out the bot’s weaknesses. The next big step for the project is to create a team of five that can compete against a full squad at next year’s International, according to OpenAI.